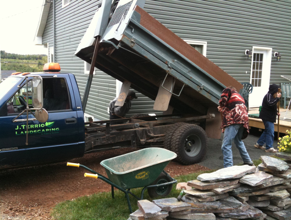 We are a family run business and have been providing quality landscaping and property services in Nova Scotia for almost 25 years. From design to installation, we strive to maintain a high standard of quality while keeping your budget in check. I short note to say how pleased we are with the work you and your crew did yesterday. The edging, trimming and weeding of the flower beds taught me a lot because I wasn’t aware they could be trimmed like that. Also, Terri said how nice your family is and that is important for repeat business. Please keep us in mind for the spring for fertilizer, maybe lime and yard clean up. I was feeling some pressure due to the leaves, wood, etc. and this alleviates most of it. Serving Truro, New Glasgow, Elmsdale and surrounding areas. 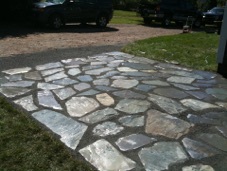 We offer a full range of services for both residential and commercial projects. Please feel free to contact us for a free consultation. Recently you and your family team completed the construction of a fence on my property. who may wish to inquire.